1. EDDA : Somatology Laboratory - Expeditionary Journey. The embodiment of grudge that wander in somatology laboratory. The six of expeditionary team that left Rune Midgarts with unknown mission. 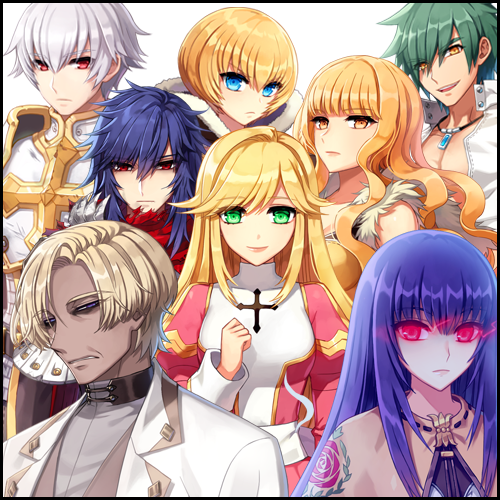 Seyren Windsor, Margaretha Sorin, Kathryne Keyron, Eremes Guile, Howard Alt-Eisen, Cecil Damon. Why their embodiment of grudge wander in Lighthalzen somatology laboratory eternally? Their hidden story will be revealed. 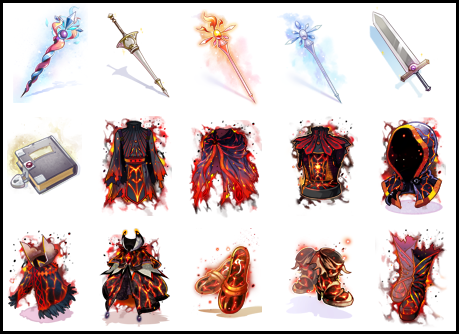 This EDDA will update 39 new weapons, 13 new enchants and 1 new armor. 2. Glast Heim Castle Abyss and Noggroad 3F items updates. Monsters in Glast Heim Castle Abyss and Noggroad 3F will drop new items. 15 new gears and 18 new cards will be updated. Unlike others. gears dropped from these dungeon will have 1-2 random options. 3. Pet intimacy bar update. Finally. Pet intimacy bar will be updated. It will show the remaining intimacy point needed for the next intimacy. 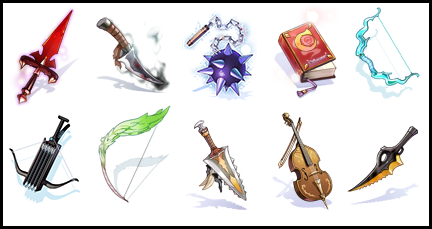 The inventory maximum slots can be expanded by using new item "Inventory Expansion Coupon" which increases maximum slot by 10, can be upgraded up to 100 slots. 5. Improves required EXP of lower classes. After third classes EXP improvement. 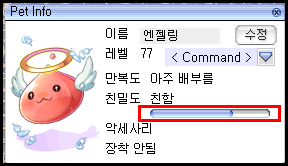 We'll improve required EXP for level 99 and lower except doram too. For more information. We'll update in the future. I guess the story of this EDDA may be from the comic. Firstborn son of Knight Windsor (Sir Windsor, knight job change quest NPC), former imperial knight commander. Elder brother of Keyron and fiance of Sorin. Younger sister of nun Margaretha who serves the order of Odin in Prontera cathedral. She is fiancee of Seyren. Younger sister of Seyren. She has the brilliant talent in magic since young. So she is given title Kathryne by Geffen mage guild for her immense magic power. Orphan child who has been abandoned in front of Morroc city gate. He was raised by assassin guild "Guile" to become assassin. He is 1 of 6 strongest assassin with title Guillotine. He was hired by Geffen mage guild to protect Kathryne Keyron. Younger brother of Engel Howard (Blacksmith in coal mine in the sign quest). 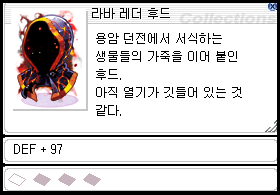 He is in one-sided love with Cecil whom came across in Prontera. Younger sister of Sherin (hunter job change quest NPC). Alias "Ice witch" given by hunter guild. Her hobby is sewing even her skill is quite bad. She always carry sewing kit along with her. - Seyren and his team have been assigned by Captain Herman (Knight job change quest NPC) to find the missing Tristan III. He suspect Arunafeltz is responsible for this. But going to Arunafeltz is very dangerous since both declare hostile to each other. So the team is suggested to find information in Schwartzvald republic first. - They split into 2 team. First team includes Seyren, Keyron and Eremes. Second team is includes Sorin, Howard and Cecil. They looked for some info in Lighthalzen. - However. All 6 of them were lured to Wolfchev hideout and were captured for experiment. - Seyren was the first specimen who was operated the Ymir heart imitation (the core) transplant by Wolfchev. He died from cardiac arrest and be moved to the morgue. - Power of the core revived him as the replica of himself (physical body still be dead(?)) because of his strong will, to protect his team, especially Sorin, reacted to the core. - Seyren go to help Sorin from specimen tank, but she doesn't longer survive and then died. Seyren laid Sorin's body next to his body in the morgue. Then his replica disintegrated. - Power of the core revived him again. But without the memory that he recently rescued Sorin. - He investigated in the lab and found Eremes. At first Eremes didn't recognize him and attacked him. After a while Eremes recognized him eventually. Both started to find Keyron. - Eremes recalled that he tried to rescue Keyron from Wolfchev operation. 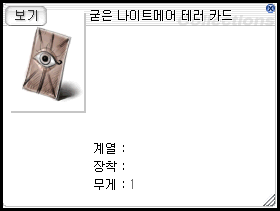 But he was stopped by Ygnigem who easily defeated him. - Both found Keyron in specimen tank. But she is dead. Eremes advised Seyren to find the rest of team while he will look after Keyron by himself. - Sorin's replica appeared. She guided Eremes to bring Keyron body to the morgue. Eremes fell next to Keyron body. - Syren rescued Howard from specimen tank while he was moved by scientists. They went to find Cecil in her specimen tank but found nothing. - They faced Ygnigem. She is too strong so they tried to escape. And has been rescued by Cecil. - Cecil escaped from specimen tank by herself. After that she stalked in the air duct and went to Wolfchev room. She stole the information about Wolfchev experiment and read it so she know the details and the power of the core. - Cecil watched the monitors in Wolfchev room. She saw Seyren and Howard are escaping Ygnigem and saw Eremes and Keyron body with Sorin replica next to her and she saw another Sorin next to Seyren body. She decided to go to help Seyren and Howard. - Cecil decide to sent the information of Wolfchev experiment back to Rune Midgarts and give it to Seyren. The three went to encounter with Ygnigem again. - Eremes, Keyron and Sorin came along to the three (yes there are replica). So the team reunited again. - Not sure whatever they talked together. But Seyren could recall a little part of Ygnigem's memory. She stabbed Wolfchev with sword and she disintegrated. Wolfchev escaped with butterfly wing. - Sorin disintegrated because she used power from the core too much. Cecil told Syren and team about how the core works. - The team decided to help Seyren to go outside the lab by using power of the core to break the safety glass that already broken with a small hole by Ygnigem. Howard and Cecil still have physical body so they were heavy injure because of over-limit. Eremes and Kathryne just disintegrated. I still wonder what happen to Howard and Cecil body after that. - Outside the lab. Seyren put information in Pecopeco backpack. He fought against lab guard and could defeat them but he take heavy injure. - All of them have haunted the lab since then.